A simple card can make a great impression. No embellishments or layers, just a stamp or two and one piece of cardstock. This card shows off the cardstock’s subtle pattern of embossed polka dots, which doesn’t overwhelm little Woodstock. Add a bit of glaze pen, and you’re done. 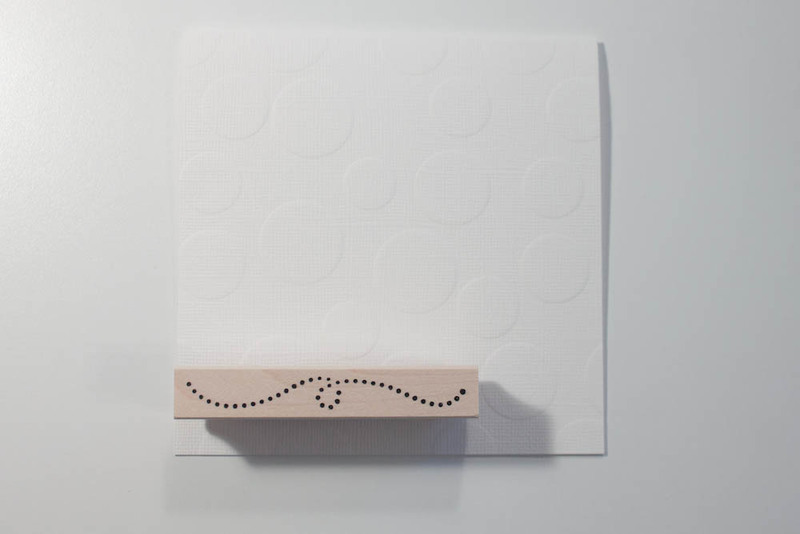 Make a card from a 5-by-10-inch piece of polka-dot embossed, white textured cardstock (such as from Bazzill Basics.) Stamp a dotted-scroll image (mine’s from Impress Rubber Stamps) in black ink (I used VersaFine in onyx black) on the lower-left corners of the front and back of the card. 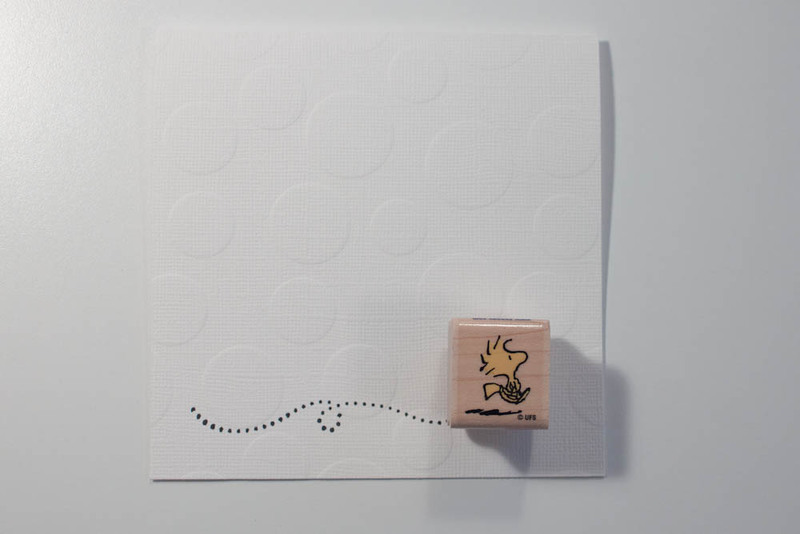 Apply black ink to a Woodstock stamp (Peanuts Flying by Stampabilities) without inking Woodstock’s shadow. Stamp Woodstock to the right of the dotted swirl on the front of the card. Color Woodstock in yellow glaze pen (mine’s by Sakura). Stamp a “created by” type of image (such as “Just for you from” from the Handmade Everyday stamp block by Stampedous!) in black ink to the right of the dotted scroll on the back of the card, and accent it with yellow glaze pen. 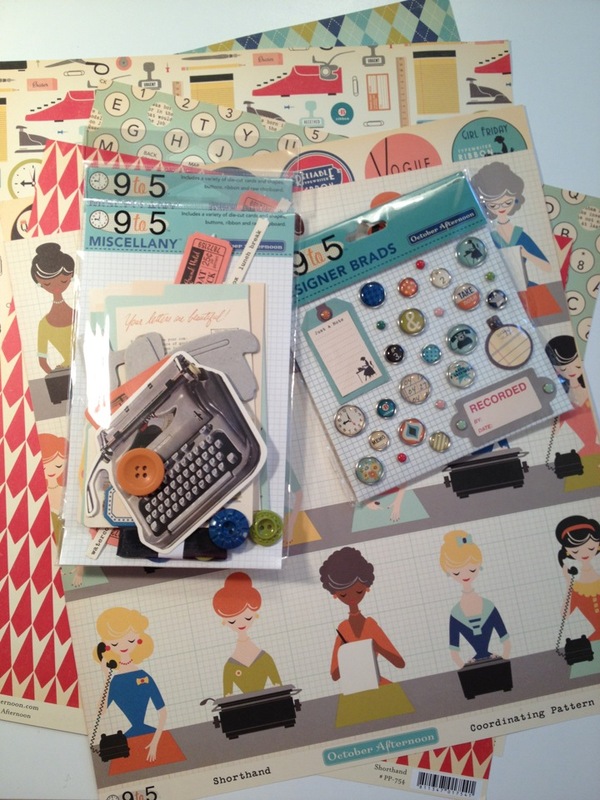 Next week, I’ll share what I’ve created with pieces of October Afternoon’s 9 to 5 line. adorable and so simple~looks fabulous!! !